This recipe has been tuned to have about the same drying and fired shrinkage as the target clay bodies Plainsman M390 and M340 (this has more Zircopax and less flux than previous trials). Fired shrinkage was matched using the EBCT test. Ball Clay: We use Old Hickory M23, but you can substitute others (e.g. OM#4, Gleason). The color is whiter than previous trials (because of the zircopax), but some might prefer a little blue stain to brighten the color. We used 0.2% Mason 6336 with good success, others we tried agglomerated and caused specking). This is an engobe, it must be applied at stiff leather-hard stage (if you apply it to dry or bisque it will flake off). It will rewet pieces and they will require significant time to re-stiffen to the same state. Even coverage can normally only be achieved by preparing a slurry of the correct rheological properties and dipping or pouring. It is vital that you have a good mixer and can effectively measure specific gravity. To mix this use the process described on the “Engobe” glossary page at the Digitalfire Reference Library. Add the Darvan to the water then add the clay, mixing while doing so. 5000g powder to 3900ml water to 20g Darvan produced less than two gallons having a specific gravity of 1.55 (proportions are thus 100:78:0.4). But after a day it was too fluid and a tiny amount of epsom salts was added to bring it back to a creamy texture. In future mixes we will start with 15 Darvan. Brush-on version: 75g Laguna gum solution, 400g water, 500g powder (makes 1 pint). A good mixer is needed to mix in the last of the powder (or an overnight sit will break up the lumps). This produces brush-stroke coverage, which can be very attractive. A black version, L3954F, can be made by substituting the Zircopax for Mason 6600 stain (7.5-15%). This produces a very high quality black color. Left is Plainsman M340. Right is M390. 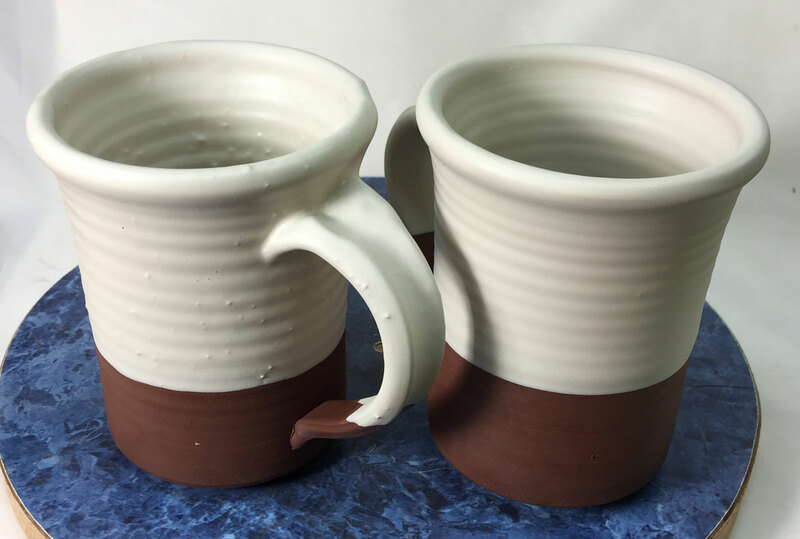 Each mug has been white engobed inside and half-way down the outside. The insides have been glazed using G2926B clear. 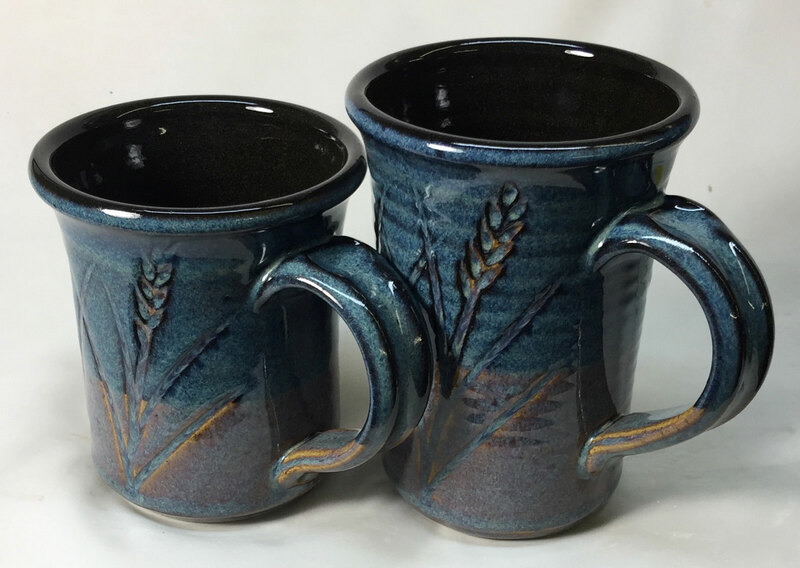 The inside surface has more depth and has a richer appearance than you could achieve using a white glaze (especially over the dark burning body). The outside of the left one is Alberta Slip base GA6A using Frit 3195 (it produces a more stable glass of lower thermal expansion). The outside glaze on the right is the clear plus 4% iron oxide. 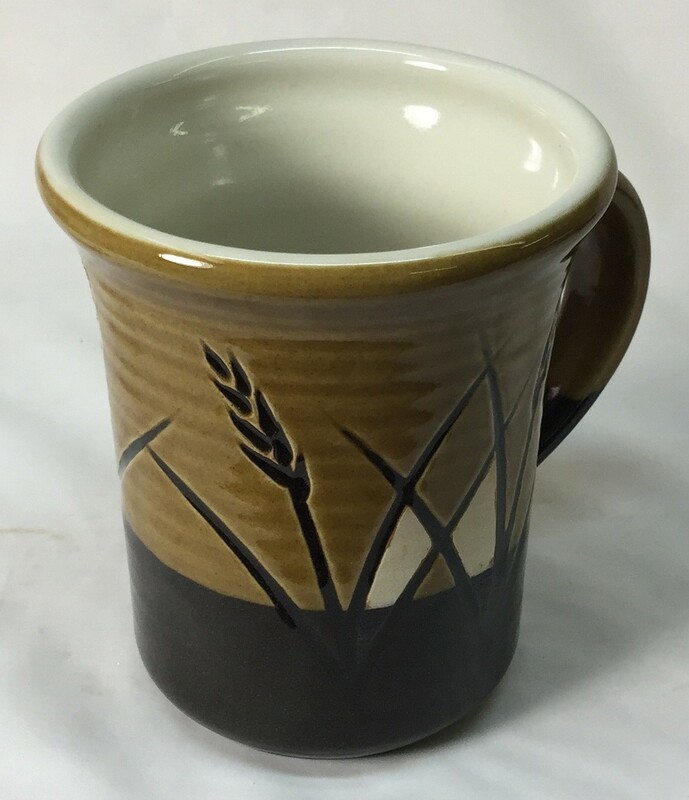 This technique of using the engobe enables porcelain-like functional surfaces on the insides and striking visual contrast and character on the outside of the dark body mug. Four drops of Davan deflocculant fixed the problem! 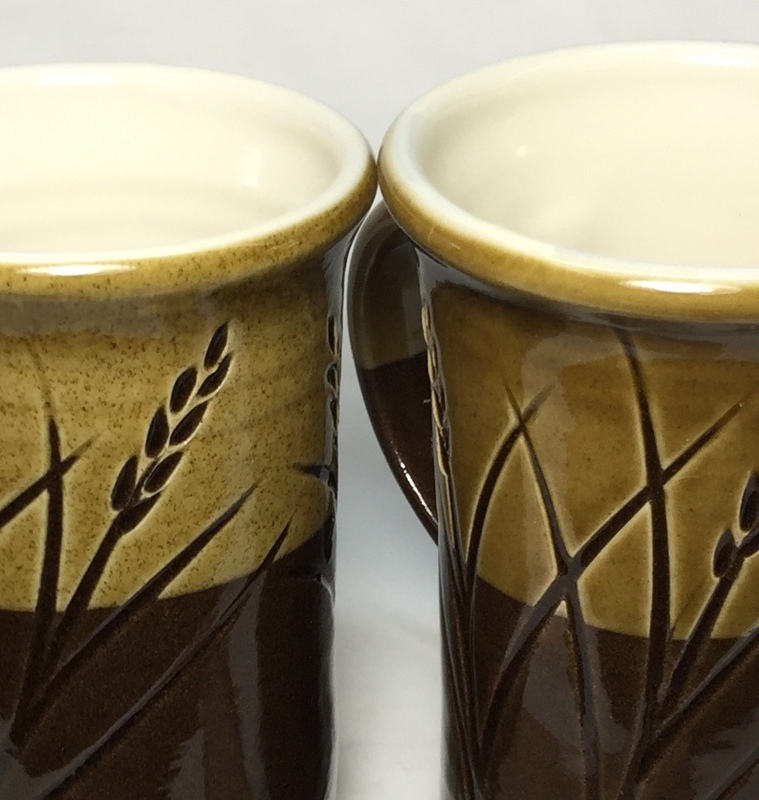 This is a white engobe (L3954B) drying on two dark burning cone 6 stoneware leather-hard mugs (Plainsman M390). Those lumps are on the left cannot be screened out, they are agglomerates. That slip has excessive flocculant (powdered Epsom salts are added to gel it so that it stays put on the piece after dipping). About 4 drops of Darvan were added to one gallon of the slurry, this immediately made it smooth and a perfect consistency for application. It remains stable on ware (without runs). Engobes require tight control to have the right viscosity and thixotropy (which can be achieved over a range of specific gravities (about 1.45-1.6). When they are right they are a joy to use, when they are not ware is ruined. 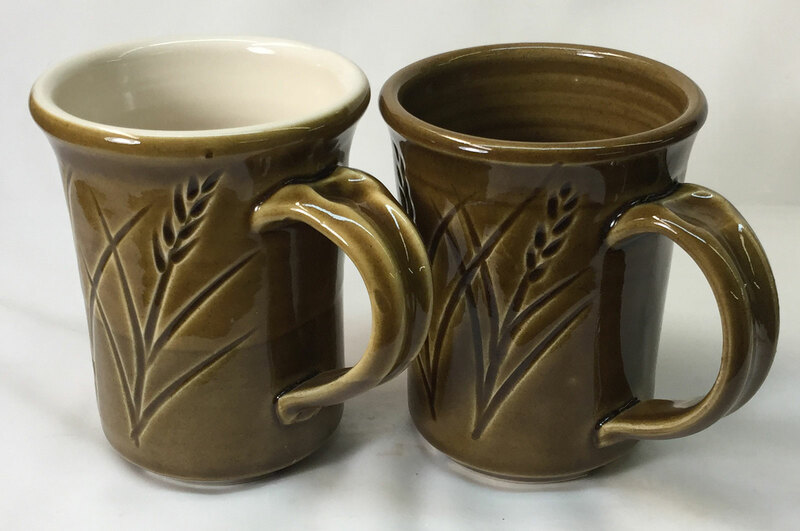 On the right is what it will look like when fired with a clear glaze on the inside and amber-clear on the outside. On the left it has dried and is ready for a little fix-up before bisque firing. This is the standard Plainsman L3954D white engobe recipe with the 10% Zircopax switched for Burnt Umber. The result is a dark, rich, ultra-gloss brown (almost black). The engobe is applied inside and half-way down the outside. 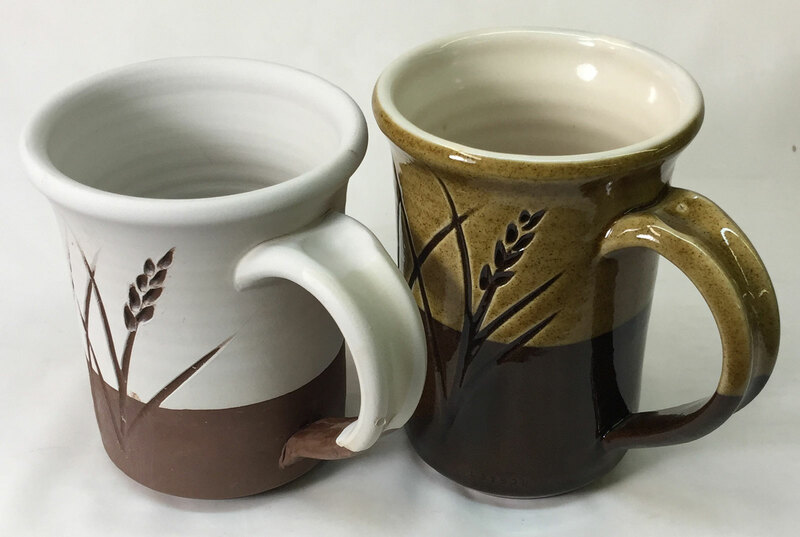 The mug on the left is glazed inside and out with the base GA6A Alberta Slip cone 6 recipe (but uses Ferro Frit 3195 instead of 3134). The one on the right has the same glaze on the outside but the G2926B clear transparent on the inside (it is micro-bubbling). This engobe works even better with a black stain. 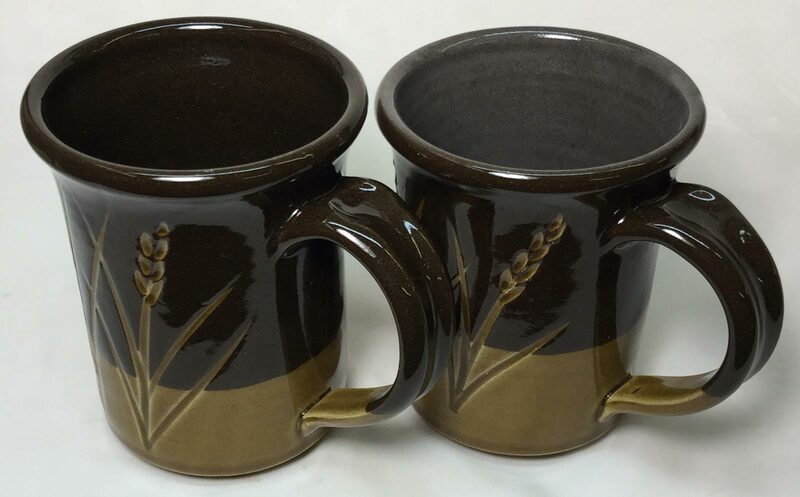 The foot ring on these hard mugs has already been trimmed. At the stiff-leather-hard stage an engobe was applied to the inside. 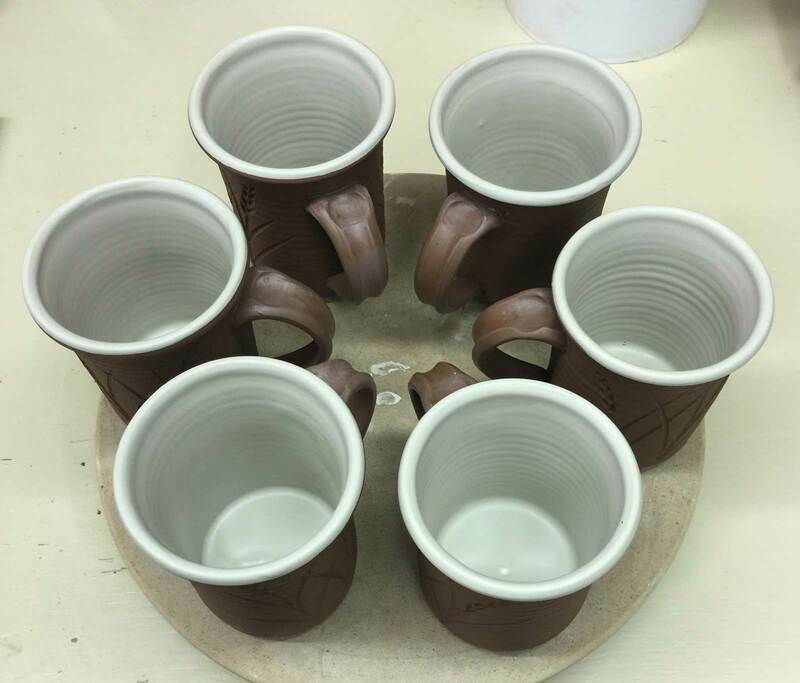 This rewet the bodies of the mugs, almost to the same point as freshly-thrown. But the handles did not get rewetted. To re-dry these mugs to the point of being able to turn them over will take 4-6 more hours. But by that time the handles will be bone dry. To prevent that I waxed them after trimming. That slows their drying down enough to keep them even with the body of the mug. To dry ware successfully the key is to keep all parts of a piece of the same water content throughout the process. Black burning bodies are popular with many potters. 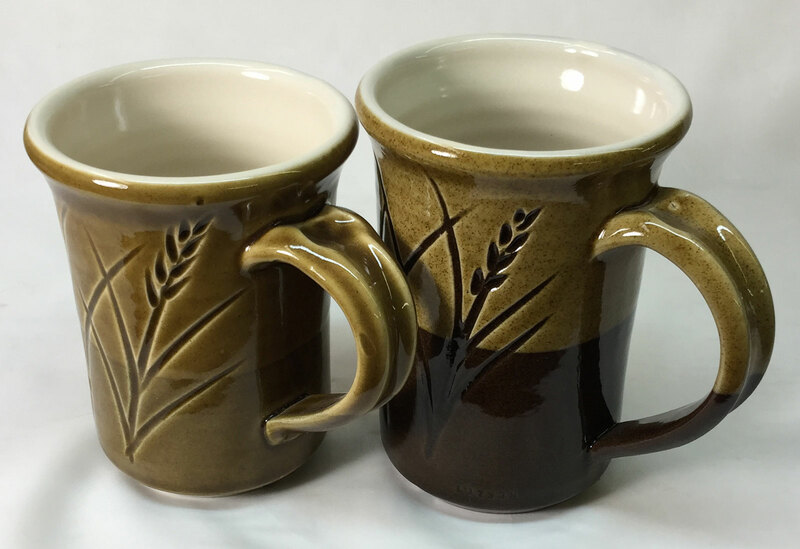 They are normally manufactured by adding around 10% burnt or raw umber to an existing buff-burning cone 6 stoneware. Umbers are powerful colorants, they have high iron and also contain manganese (the latter being the primary source of the color). But these clays can be troublesome. First, good kiln venting is needed to avoid breathing the dangerous manganese metal vapors. Micro-bubble clouding/gloss-loss in the glazes and blistering/bloating of the bodies are common. But this mug fired perfectly. Why? The umber was added to a cone 10 stoneware instead (and it has fluxed the body to mature at cone 6). The mug has been white engobed on the inside and partway down the outside during leather hard stage. After bisque it was clear glazed on the inside giving a flawless surface (using G2926B) and dipped in GA6-A Alberta Slip base amber-clear. The GA6-A over the black clay produces a very deep, rich, almost black ultra-gloss surface. This is the L3954B engobe recipe but it has 15% Mason 6600 black body stain (instead of the normal 10% Zircopax for white). There is no cover glaze, yet it is durable and absolutely coal black (so a lesser stain % is possible). We have updated the mixing instructions at PlainsmanClays.com and Digitalfire.com pages (showing exact amounts for water, powder, Darvan) and the text on the glossary pages about thixotropy and engobes (read these again and learn to use the engobe process even better). This engobe base is designed to work on regular M340/M390 stonewares (not porcelains). This is exciting because these bodies are so much more robust in drying and much less expensive than porcelains.